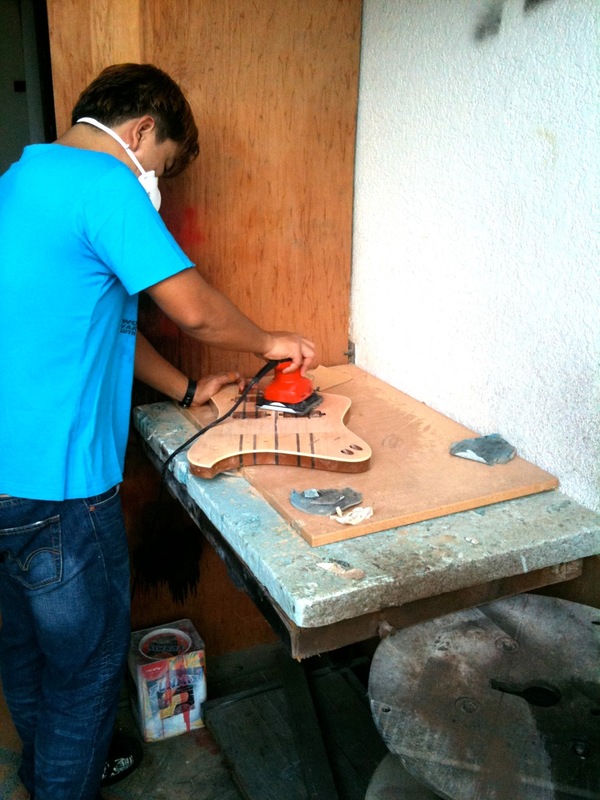 GuitarWorkshop specialises in guitar servicing, repair, customization, and artwork since 1988. You can view some of our past artworks here. We have been providing excellent service ever since 1988. Be it guitar servicing, repairs or acquiring a new guitar, advice will be given to you, regardless if you are a professional musician or an aspiring rock star. We offer a wide range of guitar related services such as repair, restoration and customization. We also repair guitar pedals and amplifiers. Our experienced craftsmen and technician will provide quality service to suit your personal musical needs. We are proud of our reputation in servicing and repairing guitars of all makes and models. Regardless of state, the guitar does not need to be broken to deserve our keen attention. With every guitar, we promise to give our level best in restoring your beauty to it's former glory. All final products will go through the thorough scrutiny of the owner, Mr Francis Poh, to ensure the products and repair work are of the finest and of unsurpassed quality, safeguarding the customer's satisfaction. One of apprentices of Mr Poh at work.